In a tight labor market, it’s increasingly difficult to attract qualified candidates. It can be even harder to convince your top performers to stay. Offering employee benefits can give your business an edge when competing for top talent. When you work with Paychex employee benefits services, you’ll gain access to the most desired benefits — including retirement, section 125 plans, and group and individual health insurance. Best of all, they’re surprisingly simple to implement and manage through our integrated technology-and-service platform, Paychex Flex®. As the nation’s largest 401(k) recordkeeper*, Paychex is relied on by thousands of businesses for 401(k) plan design and easy administration through payroll integration, our mobile app, deep compliance knowledge, and powerful reporting capabilities. Offer health insurance to employees and leave the administrative burden to us. The licensed professionals at Paychex Insurance Agency can match you with an insurance plan that fits you and your business, from a carrier you know and trust. Insure yourself and your dependents with an individual health policy. Licensed agents from the Paychex Insurance Agency are prepared to match your wants and needs to a specific policy from among more than 200 carriers. Help your employees meet their financial goals. Paychex has partnered with FinFit to provide your employees peace of mind, which can positively impact your bottom line. Manage everything related to your people – from onboarding to retirement – all from one comprehensive, cloud-based solution. Now you can give employees access to their retirement, health, and section 125 plans — as well as payroll and HR — from their mobile device. 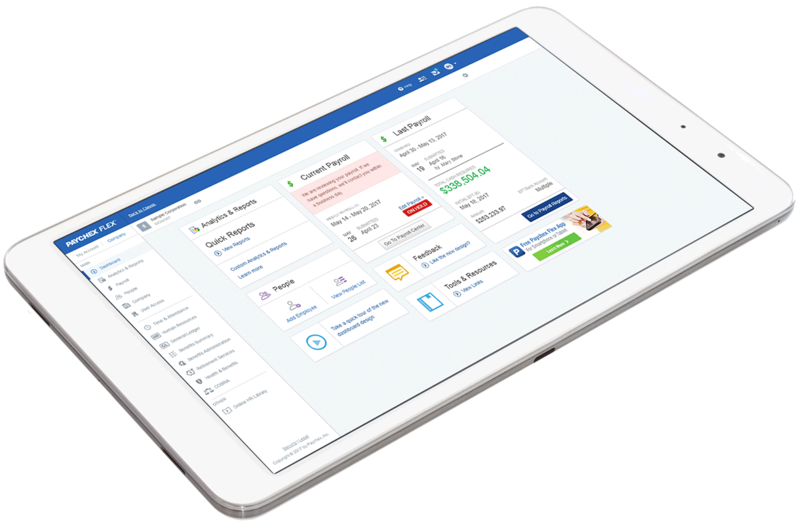 Learn about the Paychex Flex mobile app. You may already know that offering benefits is a critical part of employee retention, but what are the tax implications? Barbara Weltman outlines some key considerations. Insurance sold and serviced by Paychex Insurance Agency, Inc., 150 Sawgrass Drive, Rochester, NY 14620. CA License 0C28207.